The Next Evolution In Snowsports Transportation. Durability And Ease Of Carry For Up To Two Pairs Of Skis And Gear. 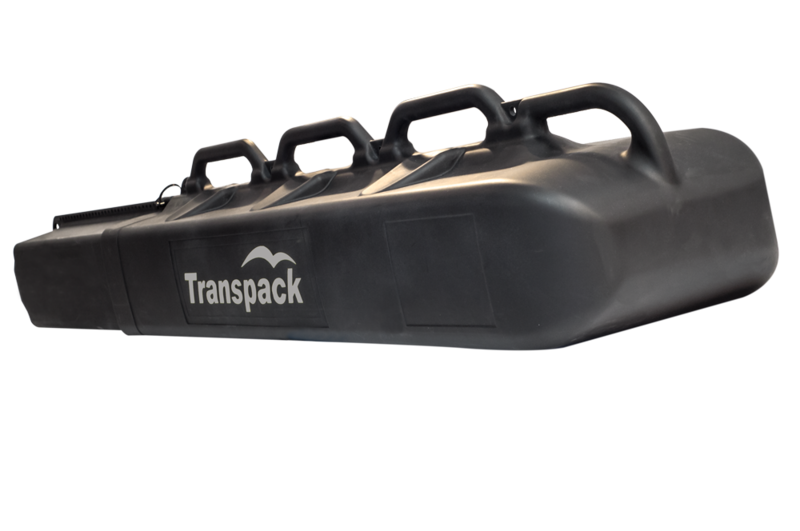 Function: Securely transports skis, snowboards and gear. Material: High density polyethylene made in the USA. Carries 1 or 2 pairs of skis (including new wider skis), poles and gear. Carries up to 2 snowboards and gear. Adjustable length securely accommodates skis and boards from 114cm to 203cm. Front handle ergonomically designed to comfortably hold the case while rolling. Variable length Notch Locking System™ allows for both a 1/4” hitch pin and TSA lock at the same time. Molded handles offer easy lifting. Easy pull O-ring to comfortably disengage inner case. Closed cell foam padding at top and bottom protect tips and tails. Internal side straps allow you to secure your skis or snowboards to case. Included: 4 elastic ski brake retainers. Included: 4 web straps with clips for holding skis together in the facing tip to tail position. Included: 2 side straps to secure skis and boards. Industrial strength web and components. Designed to fit Transpack Hard Case Jet and Shuttle.